Parents/Guardians/Students- A link to the Smug Mug account was sent to parents/guardians for pictures from the Senior Party. Check your email and upload your favorite picture! No need to purchase! Thank you to all those that donated their time and talents to the Senior Party. Thank you to all those that donated food, beverages,and money. Thank you to all of the volunteers, staff, and families for your help, support and love to make the 2018 Senior Party a huge success!! It seems like only yesterday that our Seniors were heading out the door to their first day of kindergarten! Well, it has been a long road and the end is in sight! We have survived the bumps and bruises, tears and triumphs, and are now trying to take it all in as they prepare for their last year of high school. 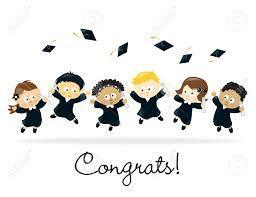 We want to send these graduates off in style and to help them celebrate all that they have accomplished. 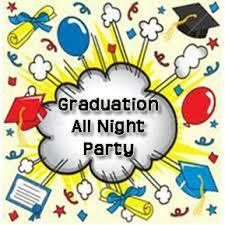 It has become tradition that in celebration of Graduation, the senior parents host an “all night party” for the students in order that they may celebrate in a drug and alcohol free environment with all of their friends in a safe and fun atmosphere. Planning the party for the members of the Class of 2018 requires support from the parents, school and community. ​All are welcome - except Seniors!